Have a question for 13 Ohoo Pension? 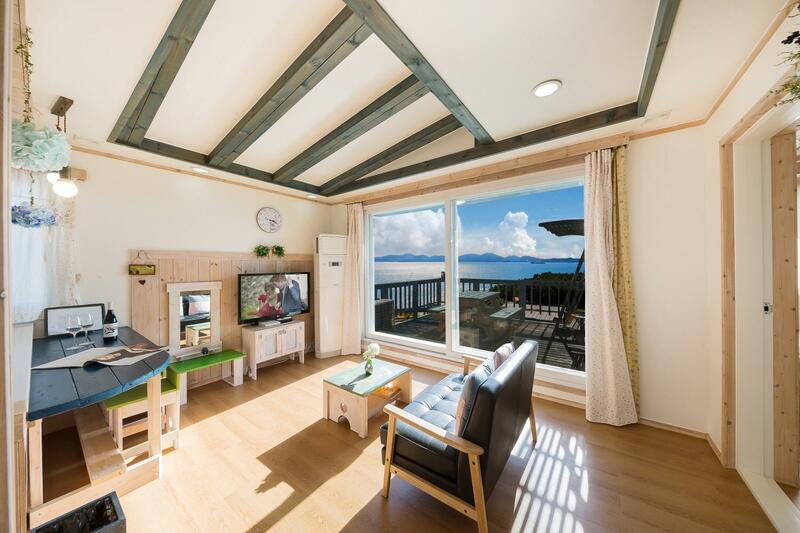 Situated in Nam-myeon, 13 Ohoo Pension is the perfect place to experience Namhae-gun and its surroundings. Situated only 15km from the city center, guests are well located to enjoy the town's attractions and activities. With its convenient location, the hotel offers easy access to the city's must-see destinations. At 13 Ohoo Pension, every effort is made to make guests feel comfortable. To do so, the hotel provides the best in services and amenities. Free Wi-Fi in all rooms, convenience store, luggage storage, Wi-Fi in public areas, valet parking are just a few of the facilities that set 13 Ohoo Pension apart from other hotels in the city. 13 Ohoo Pension is home to 3 bedrooms. 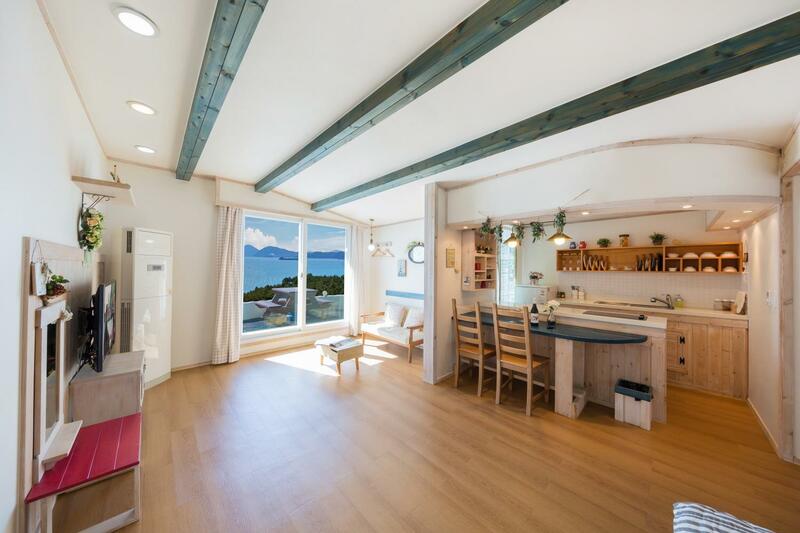 All are tastefully furnished and many even provide such comforts as television LCD/plasma screen, mirror, sofa, towels, wooden/parqueted flooring. The hotel offers fantastic facilities, including hiking trails, sauna, golf course (within 3 km), fishing, spa, to help you unwind after an action-packed day in the city. 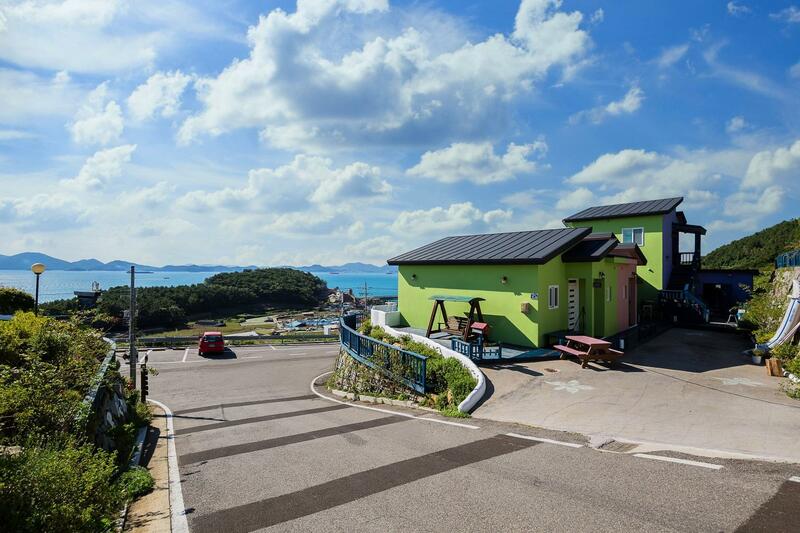 13 Ohoo Pension is your one-stop destination for quality hotel accommodations in Namhae-gun. 프로방스 풍의 아기자기한 예쁜 펜션! 신혼 부부나 연인들이 좋아할 만한 분위기였지만, 50대 중반의 우리 부부에게도 오랜만에 설레임을 가져다 주는 펜션이었습니다. 아름다운 풍경속에서 바베큐와 와인 맛! 모든것이 자연과 어우러진 쾌적하고 깨끗한 13월의 오후 펜션에서 충만한 행복감을 느끼고 왔습니다. 친절하신 사장님 내외분께 다신 한번 더 감사말씀 전합니다. 아기자기하고 예쁜 숙소와, 친절하신 분들이 운영을 하고 계세요. 다음에 또 한번 남해 여행을 한다면 한번 더 갈것 같아요. 펜션은 마음에 들고 특히 방은 정말 제 스탈이라 선택했던 펜션이었지만, 처음 예약부터 아고다로 예약을 해서 주인장과 약간 트러블도 있어서 기분이 안좋았습니다. 예약하기전 고객을 대하시는 태도가 지금까지 수많은 예약을 해봤지만 이렇게 기분안좋게 예약을 한 건 처음이라 아직까지 그 이미지가 남아있네요. 결국은 가서 하루 잘 보냈지만.. 다시 가고싶은 생각은 안드네요. 방은 정말 예뻣습니다. 앞에 편의점도 있어서 편리했어요. 내부시설, 테라스의 그네, 뷰가 너무 이뻐 스트디오같습니다. 아이들도 좋아하고 비싸다고?투덜하던 아내도 사진찍기 바쁨니다. 홈피에서 사전신청하는 바베큐도좋고 햇반에 컵라면까지~ 그나마 흠이라면 와인잔이 더러웠다는... 바로 밑에 편의점도있고 식당도있네요~ 사장님도 매우 친절하시고요!